L-Citrulline is a non-essential amino acid that previously was thought of as just an intermediate metabolite. However, over the past decade research on L-Citrulline has dramatically increased due to the understanding and importance of L-Citrulline's metabolism. 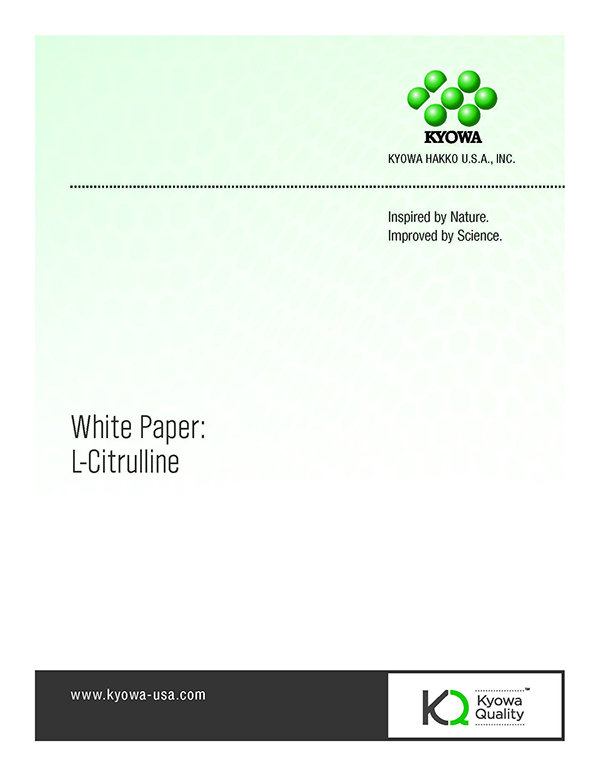 In this white paper, we will specifically discuss L-Citrulline's role in nitric oxide production, vascular health, muscle protein synthesis, ammonia elimination and immune function.